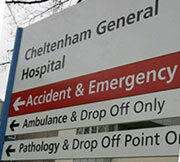 In April 2011 Alexander Burn Funeral Directors was appointed as the NHS Funeral Director in Gloucestershire. This long term contract covers the entire county and involves a number of areas of work. We are very proud to have been selected for this position and consider it our privilege to serve the NHS alongside the families in our communities. Our role includes providing funerals for those who die in hospital with no one to take responsibility for their funeral, transport of non-viable foetuses to Bristol for specialist post mortems, providing funerals for stillborn babies and other arrangements for earlier stage non-viable foetuses. Copyrights © 2019 All Rights Reserved by Alexander Burn.